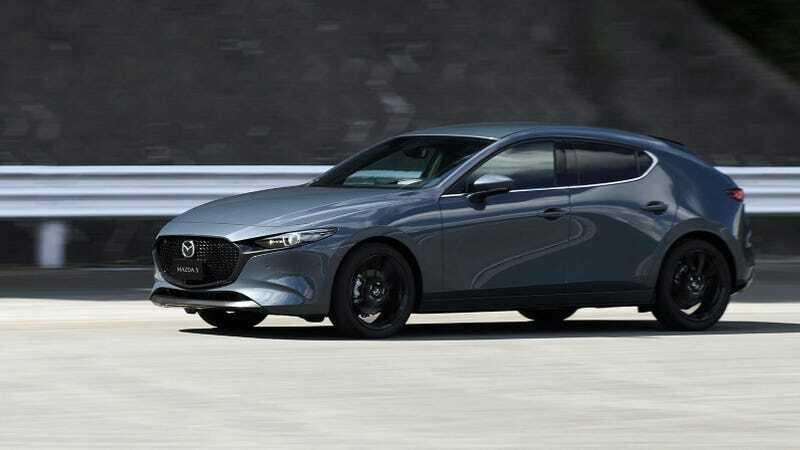 The new, 2019 Mazda 3 isn’t just another sleek compact car (which we desperately need in today’s market). It also now comes packed with Mazda’s very fancy spark-controlled compression ignition engine, called the Skyactiv-X. Here’s what we have so far, thanks to another outlet that jumped the embargo gun just a bit and ran the story before it was supposed to go. What do we know so far? Not a ton, except that as before the car’s expected to come in four- and five-door variants and should be priced to compete against the Honda Civics of the world, albeit with much more attractive looks and (theoretically) better driving dynamics.